From the minute you said “I Do” as a blushing bride, you had visions of a lifetime of wedded bliss. You just knew that your marriage would be red hot and passionate regardless of what life threw your way. You just knew your marriage would be different and SO unlike the ho-hum relationships you’ve heard about from your friends. As a young bride, I had the same thoughts and prayers for my relationship and truthfully, we started out strong but lost our way a bit. Somewhere in between middle of the night feedings, temper tantrums, and loads of baby clothes piling up, our marriage took a detour. How did we become the typical married couple and more like roommates rather than the red-hot lovers I imagined? Since those early parenting days, God has given me insight into healthy expectations for marriage with children, realizing we can thrive, not just survive, with little ones under our roof. 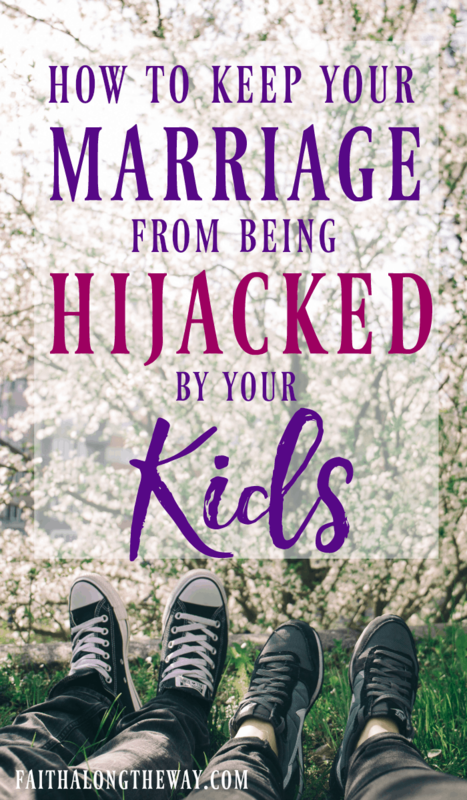 Fumbling through those baby years; juggling life and responsibilities as a spouse and mother, made me aware of the top five things I can do to protect my marriage from being hijacked by my children. Long gone are the lengthy conversations over a leisurely dinner, but that doesn’t mean I value his thoughts and opinions any less. In fact, I treasure our time connecting through conversations, and am taking measures to protect that time from child interruptions. Ladies, show your spouse he matters by teaching children not to interrupt your conversations! While this is not an easy lesson, or even a fun one to teach for that matter, it’s a great life skill to instill and will show your child you place significance on your time with your spouse. Between lack of time and money, date nights can be in short supply if you let these factors get in the way. Fight for your marriage and enjoy each other again with an at home date night once the kids are in bed. Some of our favorite dates have been in the comfort of our own home; including a spa night, chocolate lovers taste test, and a scavenger hunt. It’s a creative, economical way to reconnect without the T.V. and technology, and will help you enjoy time with the one you love most. For fabulous ideas to plan your in home date night, read Spice Up Your Marriage with a Date Night Jar. Grab the printable date night cards and you’ll be on your way to some special time in the comfort of your own home. After a long day of life in the trenches with the kids, I can look like a frightful mess! While my hubby never expects a trendy outfit or a completely made up me, I still enjoy looking nice for him. By showing him the best version of myself, I like to think that I am placing importance on him and demonstrating that his opinion still matters. If a little lip gloss and brushed hair help rekindle the spark, then I can find five minutes to look presentable for my love. He’s worth the extra effort! Ladies, do you still get goosebumps when your husband grabs your hand? I do, but for different reasons than when we were ten years younger! Now when he grabs my hand or leans in for a kiss, it lets me know that he still thinks of me. In a world full of distractions, he was thinking about me enough to demonstrate his love in a tangible way. Knowing he longs to be close makes me glow from the inside out and the same is true for him. Intimacy and affection are important ways that men feel valued and fulfilled in the relationship, so grab your hubby and give him a smooch! Nothing says, “I still love you,” like a gentle caress! 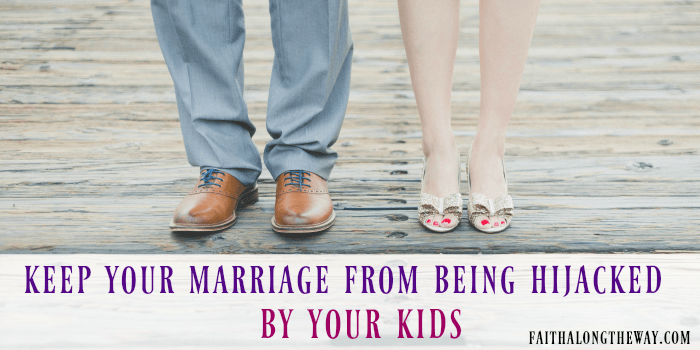 Making your marriage a priority with children takes work and sacrifice. Sometimes after a long day of demands, I am ready for a hot shower and the couch. But looking for those little moments to serve him after a long day rejuvenates both our souls, fills me with joy, and creates an atmosphere of contentment in the home. While serving your spouse may not be a popular concept, God wants us to put others before ourselves, no matter how tired or ragged we may feel. Are you looking for ways to bless and serve your spouse more? The 28 Days of Blessing Your Spouse Challenge is a wonderful resource for your journey and to reignite the spark of service in your heart. Marriage with children takes intentional effort and creative planning, but when you commit to pursuing your spouse and to making him a priority, you will be amazed how quickly the spark comes back and you’ll fall more deeper in love than ever before. This post reminded me that no matter what season of life we’re in, our love tanks can be filled with the agape love of the Lord. 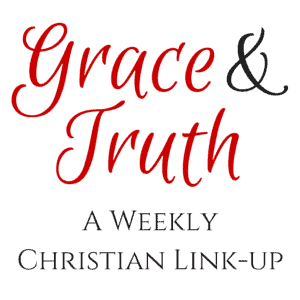 And with that pure love of the Lord, we can “choose self-denial for the sake of someone else.’ It’s our completion in Christ where we can fully love and serve our spouses to the best of our ability. Such excellent advice! Thanks for sharing with us and reminding us to keep putting our marriages first. I’m glad it blessed you, Julie! May we all remember to carve out time for our spouses!